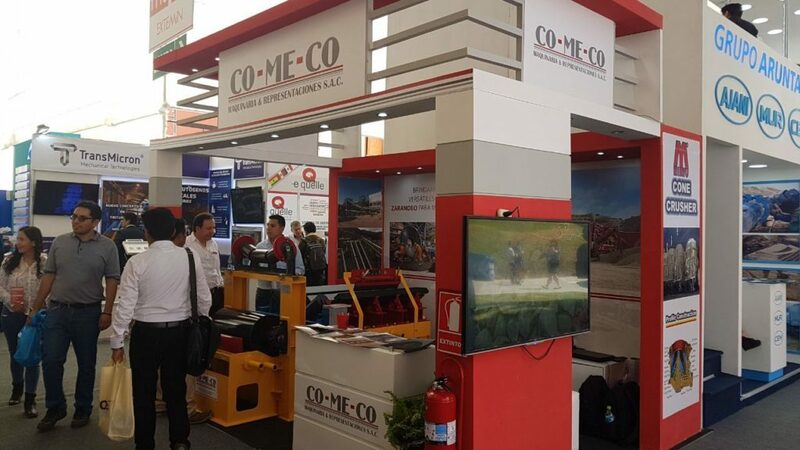 Comeco and Minyu at Perumin 2017 | Minyu Machinery Corp.
Perumin 33 was a huge success for our partner Comeco Maquinaria y Representaciones S.A.C. With over 15,000 attendees and 1,000 exhibitors from Peru, Ecuador, Bolivia, Chile and Colombia; the South American construction, aggregate, mining and recycling industries were well represented. Many were excited to learn about the commissioning of Comeco’s first Minyu MSP200 cone crusher and the varied products offered through the Minyu/Comeco partnership. For more information on Minyu products and services in Peru, please contact Comeco Maquinaria y Representaciones here!